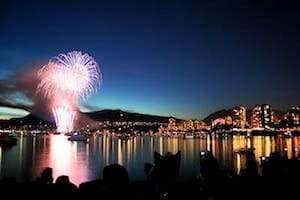 They say the best things in life are free, and free fun in Vancouver is no exception ! This is the ULTIMATE TOP 10 ! 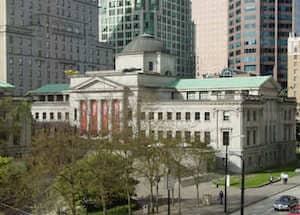 Every Tuesday night (5 to 9 PM), enjoy the exciting exhibits inside the Vancouver Art Gallery (VAG). It's a “by donation night”, so whatever you can spare and enter to see the exciting exhibitions on display. You will save up 24$ (Adults) !! Vancouver has the largest movie industry in Canada, injecting more than $1 billion into the local economy. 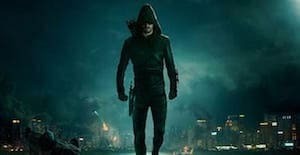 Check out the Creative BC Film List to figure out which movies or tv-series are being filmed and head down to the production set to try and take a peek at your favourite star. 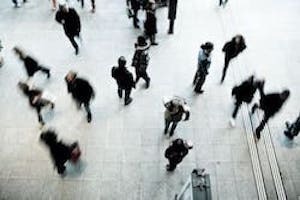 Vancouver has free festivals and events almost every month: the International Jazz Festival, the Celebration of Light event, the Cherry Blossom Festival, and so many more. 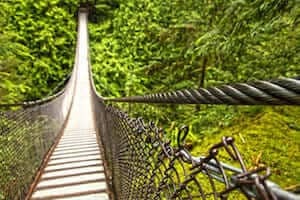 North of Vancouver, crossing Lynn Canyon's Suspension Bridge is a captivating experience. 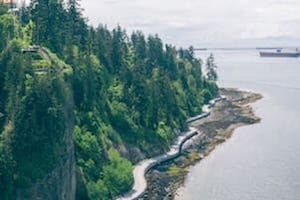 Apart from that, you can also hike, swim and admire waterfalls in Lynn Canyon. 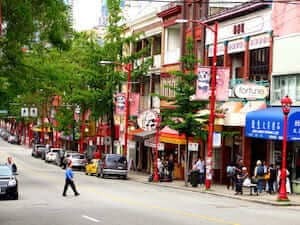 Take your own walking tour of this famous neighbourhood and see landmarks like the Millennium Gate, and the free portion of the Dr. Sun Yat-Sen Chinese Garden & Park. 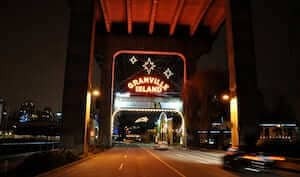 You can spend a whole day visiting Granville Island: there's so much to see ! You can stroll around the waterfront, window shop at the boutiques, explore the Public Market, and enjoy street performers. In summer, there's a free Kids' Water Park. 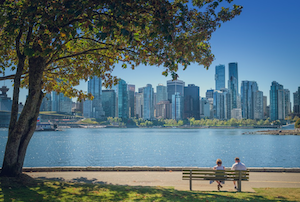 If you want to bike, walk, jog or just sit on a bench, there isn't a more beautiful place in Vancouver than Stanley Park's Seawall.﻿ This paved pathway loops around the park and into downtown Vancouver, and its route includes some of our city's most beautiful scenery. 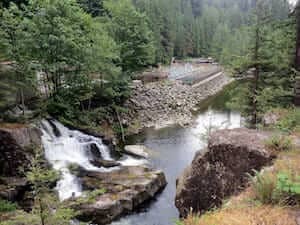 In North Vancouver, you can go to the Capilano Salmon Hatchery. Run by the federal government of Canada, the hatchery is open all year, but the best time to visit is between late August and November. With a 1/2 meter telescope, the Gordon MacMillan Southam Observatory helps you observe the sky around Vancouver and explore the most breathtaking views of the stars around. Admission, by donations, only on Saturdays nights, from 7 to 11 PM. If you are a fan of outdoor activities, the Grouse Grind hike is perfect for you. The hike could take up to 2 hours, but the view at the top is awesome. You will still need to pay $10 for the gondola ride down.